My Pacific Pearls is a family-owned business with an exceptional reputation for providing top quality classic, contemporary and unique designs at affordable prices. 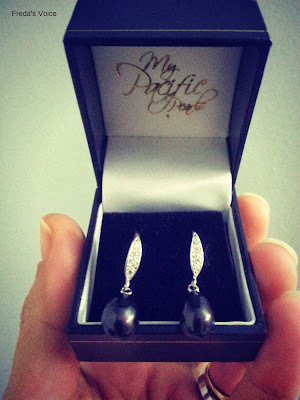 Purchasing pearls from My Pacific Pearl can save you up to 90% off retail prices! With the holidays season upon us, that is a great value for any gift ideas you may have. Note there is free shipping within US or Canada. 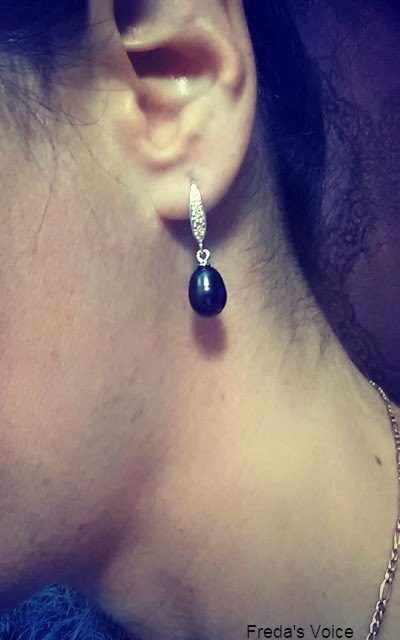 I was sent Black Diamond Drop Pearl Earrings for review. 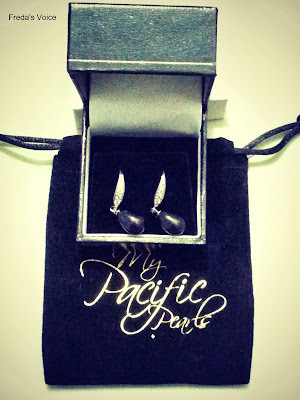 True to their word, a beautiful leather black box contained the most elegant and pretty drop earrings I have ever seen. I had to try them on and see how they looked. See how they dangled. They are just the right size for me! I don't like really long earrings, they have a tendency to get stuck in the worst places. The length of the dangle is at the right spot even if you were wearing a turtle neck sweater or a scarf. 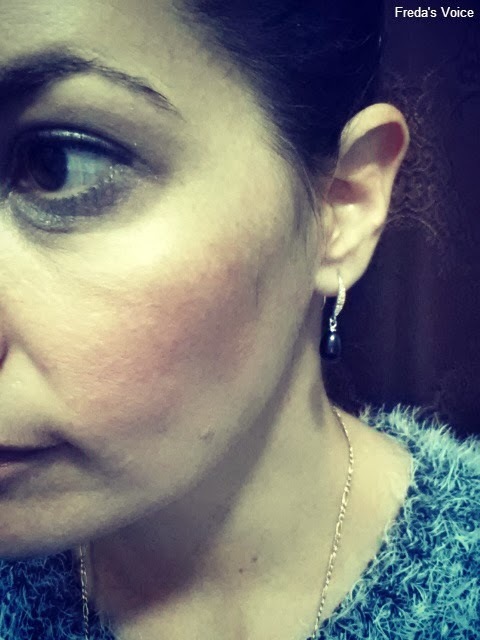 With earrings that loop through the ear, fear of them falling out is always there. I didn't feel that these earrings would do that. They fit my ear nicely and did not move at all. And sparkle!! These are elegant enough to wear to the fanciest of restaurants, outings to the theater, or even holiday occasions, where you are visiting all your loved ones. Dress them up or wear them casually, they will get noticed and look fab! I think my Mom will have to get a pair of these for her birthday, mothers day or even Christmas! 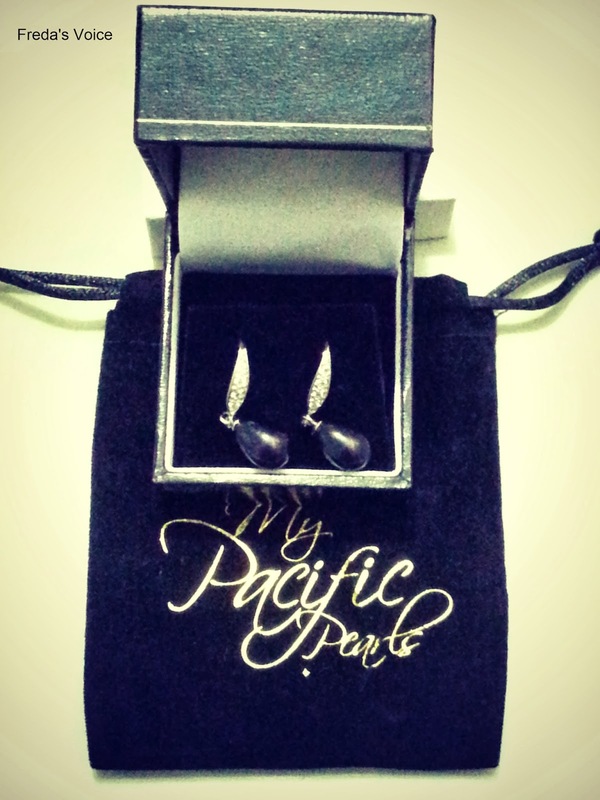 Another great thing that comes with these earrings, and all jewelry from My Pacific Pearls, a letter of authenticity. This is only a portion of the paper, to give you an idea. Basically it's appraisal papers. It tells you exactly what you got, weight and type. It also gives you the value amount. That way, you can insure your jewelry, for extra security. Getting insurance on your personal and valuable items is not anything new to you all, but let me emphasize how important it is. So do you have any women to buy for that you just don't know what to get? They keep getting harder and harder to get for?? Check out My Pacific Pearls. They may have just that something special you want for her. 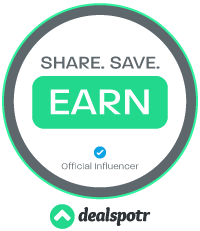 Also check them out on Facebook, Twitter, Instagram, Google+ and Pinterest for more information, deals and products. Very pretty, Freda. What a great gift those would be!